Trapping has been a part of human history since our prehistoric ancestors, who were hunters and gatherers. They invented the original pit traps, snares, capture nets, and deadfalls. Furbearers, or animals that are harvested for their fur, have been the main target for trappers. The fur trade kicked off in New York State when early European settlers began to occupy the area. Here in the Adirondacks, trapping also grew in popularity, partly inspired by some famous trappers from the region. Although we are no longer dependent upon trapping for survival, the tradition lives on in our modern world. Before Europeans arrived, Native Americans used more traditional trapping methods, such as basic snares, pit traps, and deadfalls. In the early 16th century, European settlers brought metal trapping devices with them and established the North American fur trade with Europe. The fur trade was the main source of commerce for settlers and funded the extended period of colonization. Around 1550, the "Beaver Era" started and would last for about 300 years. The beaver population at the time was prosperous and widespread throughout almost all of New York State. Pelts were treasured for their warmth, texture, and durability, so many were traded, sold, or used in clothing production. Other furbearers were trapped during "The Beaver Era," including the bobcat, badger, muskrat, raccoon, river otter, and coyotes. As the fur trade grew, cities and towns formed as trading outposts. Interestingly, the location of the present day City of Albany started out as a Dutch village named Beverwyck. The site was heavily involved in the beaver fur trade, but Beverwyck became Albany after the English took over the region in the 1660s. By 1830, the price of beaver fur and other furbearers fell because of competition from the silk trade. More specifically, there was an increased demand for silk hats, so beaver hats fell in popularity. A decade later, "The Beaver Era" was over. In the following years, as human settlements expanded throughout the state and the Adirondacks, furbearers were considered vermin to get rid of. Furbearers, such as the fisher and beaver, were over-trapped because there weren't statewide trapping regulations. Fortunately, a "Conservation Movement" soon developed. The idea of wildlife management grew as part of Teddy Roosevelt's administration and the influence of conservationist Aldo Leopold. Rather than view furbearers as vermin, the "Conservation Movement" emphasized the need to establish wildlife management plans. 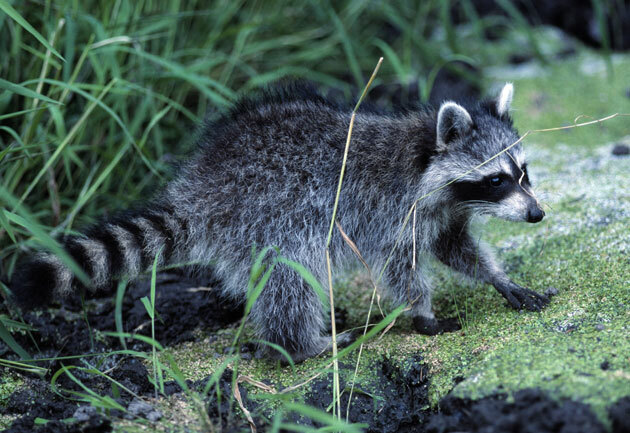 The establishment of management plans, as well as the creation of official trapping seasons in New York State, have stabilized the populations of all 14 local species of furbearing animals. There are an estimated 10,000 trappers in New York State currently, and while the fur industry still exists, trapping is much more regulated now than in the past. Throughout the history of the Adirondacks, there have been many famous outdoorsmen, guides, and hermits who are known to have been lifelong trappers. Learn about the history of a few below! Also known as Louis Seymour, French Louie is one of the most recognizable names among all Adirondack woodsmen. Born in Canada, French Louie moved to New York State in 1849 at the age of 17. Although he started out by working with traveling circuses, he was inspired to go to the Adirondacks after hearing stories from the area's lumberjacks. Having grown to love the woods from his early years in Canada, Louie initially moved near Indian Lake and set up a small cabin. He hunted, trapped, and even drove logs down the river. As Louie set up different trapping camps in the area, he eventually decided to move to a more remote homestead near the Village of Speculator (then known as Newton's Corners). Out of his new homestead, Louie had at least 15 camps set up along his extensive traplines. He trapped pine marten, fox, fisher, mink, and bear, and his traplines ran from Moose River to West Creek. Most of Louie's income came from trapping, and when he visited Speculator to trade and sell furs, he was viewed as a local celebrity. He would hoot, howl, and mimic animal sounds to announce his arrival, which made him especially popular with kids. Born in Lisbon, NY in 1889, E.J. Dailey is considered one of the last true Adirondack woodsmen. During Dailey's childhood, hunting and fishing were both popular activities, and he spent much of his time outdoors and in the woods. As he grew older, he became interested in trapping and would begin making trips to the Northwestern Adirondacks. In the early 1900s, Dailey was already a skilled Adirondack trapper. He would make excursions in the areas surrounding Raquette Lake and Cranberry Lake. Back near his hometown of Lisbon, Dailey operated his own E.J. Dailey's Trapper Supply House, which sold trapping supplies and Dailey's own lures and scents. People from all over the country learned about him through his writings. Dailey wrote stories for magazines (e.g. "Fur-Fish-Game" magazine) about some of his memorable trips in the Adirondacks. He hoped to encourage the younger generation to learn from him about how to live off the land. In his later years, Dailey continued to operate his Trapper Supply House, and many visitors were interested in just listening to him speak. Born in 1933, Johnny Thorpe held many titles in his life - master woodcarver, treasure hunter, and legendary trapper. Thorpe grew up an avid outdoorsman, and by the age of 15, he was already making a living trapping muskrats. His love for the wilderness encouraged him to explore the Adirondacks. He balanced his trapping lifestyle in the Stony Creek area with treasure hunting, working as a dude ranch wrangler, and even carving thousands of wooden figures and objects. One season, all of the fur Thorpe collected earned him roughly $20,000. In 1995, Thorpe published his memoir, "50 Years A Trapper & Treasure Hunter," which recounted his personal experiences and meetings with other trappers. He was widely recognized enough to be inducted into the National Trappers Hall of Fame. Thorpe loved the outdoors, and he was interested in sharing his experiences with others. Even in his later years, he would speak at multiple conventions in the U.S. and discuss some of his trapping tips, techniques and stories.